Most of us have used Safaricom mobile network for years, in fact there are some who have had their numbers for over 10 years and still going strong, but we most likely never pay attention to those litle things like who is behind the voices am listening to of even the name of that customer service person you talk to when you have an issue. I must admit, one of the most annoying things is getting that "Samahani, mteja wa nambari uliopiga hapatikani kwa sasa' (Sorry, the mobile subscriber cannot be reached) thing. The voice is great yes but the fact you cant find the person you want to talk to is the part we all don't like. After all those years we can finally put a real face to that beautiful voice we hear almost every day. 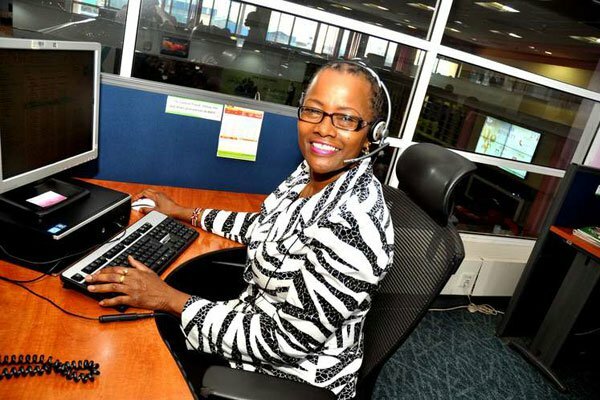 Her name is Ms Maggie Wazome and she is currently a support analyst at Safaricom’s customer care department. “When my friends are introducing me to a group of people, they want everyone to know that I am the ‘mteja’ lady. So if the person being told does not believe me, I have to repeat the line. I have done it a thousand times,” she said. “The best part is, I sometimes hear myself when I’m calling someone,” she added amid laughter. Maggie says it hasn't been easy to reach where she is now. Even getting picked to record the voice was not a walk in the park. Maggie started working part time at KBC where she was part of the then popular show 'Ugua pole na Lukozade' which was hosted by Fred Machoka. 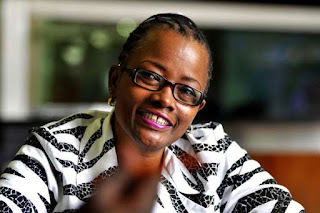 Wazome says she was recommended by Machoka and had to beat 16 other voice over artist to get the job at Andrew Crawford's studio which was tasked with the recording.